Dear reader volume change in concrete is an important parameter and carefully studied in concrete engineering. Volume change may be swelling and shrinkage. We will discuss about shrinkage of no-fines concrete in this post. Dear reader, at first, we will learn about shrinkage of ordinary concrete. The usual value of shrinkage in ordinary concrete is (520 X106-780 X106). In no-fines concrete we will find significant lower shrinkage than that of ordinary concrete. The typical value of shrinkage in no fines concrete lies between 120X106 to 200X106. Defining shrinkage is always referenced by relative humidity; here considered relative humidity is very low. Dear reader, we have already learnt that fine aggregate is absent in this special type of concrete and has a thin layer of cement paste that coat the aggregate. 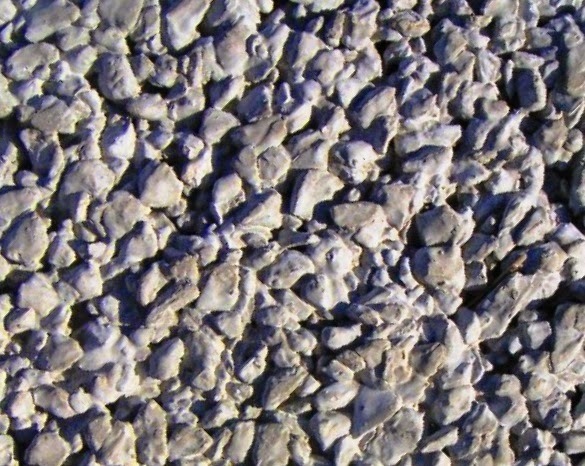 This thin coating of paste is also suffer drying shrinkage but is greatly restrained by aggregate (coarse aggregate). But rate of volume change under shrinkage is very rapid. There have available large area of coated surface which is exposed to environment (air) and having great contact surface, the shrinkage is increased at greater rate. -Within 10 days half of total shrinkage is completed.